This beautiful Historic Hotel in Downtown Tula Hidalgo is located right next the Cathedral and about 1000 meters away from the Archaeological Site and the Atlantes. The hotel is a great choice for tourists and businessmen that enjoy history. The construction of the hotel began in March 16, 1868 under the direction of P. Espinoza and was inaugurated in January 1, 1872. Two books were written at Real Cathedral Hotel: Periquillo Sarniento and The Art of Dreaming of Carlos Castaneda; Benito Juarez also stayed here during his exile. Real Cathedral Hotel offers its guests the opportunity to live a Colonial Experience and the History of Tula. 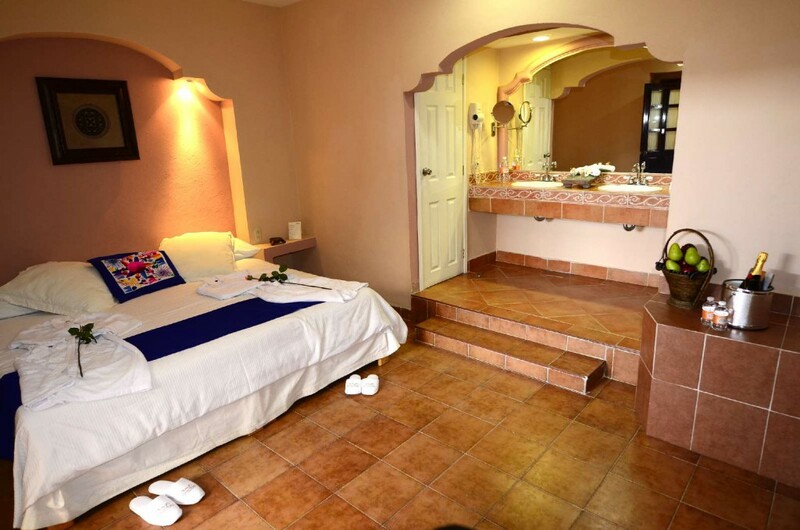 It offers comfortable rooms, business center, fitness center, free wireless internet, private parking, transportation, guided tours and a restaurant where you can enjoy the taste of the Mexican Cuisine. If you are looking for a Historic Hotel in Tula Hidalgo near the Atlantes, Real Cathedral Hotel is your best choice. We wanted to visit the ruins of Tula by car and stay in the city of Tula. We booked the Hotel Real Catedral and got two nights including taxes for $92 U.S. That's $46 per night. We had a very comfortable room with free parking in front of the hotel and a continental breakfast. The staff were super friendly and the room was great. Very comfortable king sized bed with nice sheets, pillows and duvet. Good reading lights, free WiFi and lots of plug ins. Great shower with shampoos etc. and lots of hot water. Coffeemaker, coffee and cups in the room. This hotel is right in the heart of the city, just steps to the plaza, restaurants and the cathedral. The ruins of Tula were wonderful. This hotel in Tula was phenomenal... I visited for business and had a lovely stay. I ended up going back with my family just so that they could experience what I lived in Tula during my first stay. The hotel is located in city centre, just steps away from the Cathedral and a couple blocks away from the local market. The place is full of history and that's exactly what we were looking for. Breakfast was included, I loove Mexican food. The ruins and the Atlantes are nearby, we spent a whole day there. The staff at the hotel booked me a tour guide to visit the ruins, the guy was unvelievable, so many stories, it felt like a movie. I hope to come back some day. Highly recommended! Booking your room directly through our website guarantees you the best available rate. If you find a lower publicly available rate anywhere else, we will match that rate and we will give you a room upgrade.